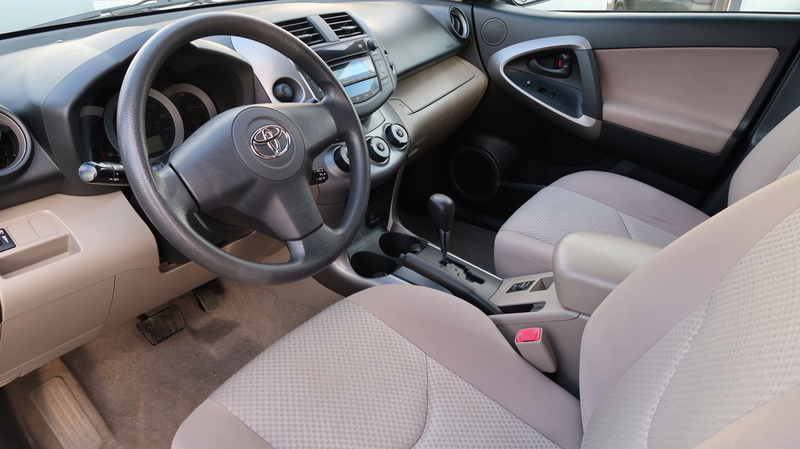 With available V6 power under the hood, nimble handling on the street and a generous standard features list, the Toyota RAV4 is a top compact SUV choice for 2006. In the mid-1990s, the Toyota brain trust took a close look at the SUV market and determined that not everybody liked the idea of piloting a 3-ton land yacht in order to take advantage of the “U” in SUV. 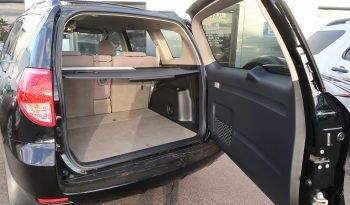 File drawers full of focus group questionnaires pointed toward a vehicle that combined the advantages of a sport-utility — great visibility, sizable cargo capacity, all-weather capability — with the manageable size and drivability of a car. 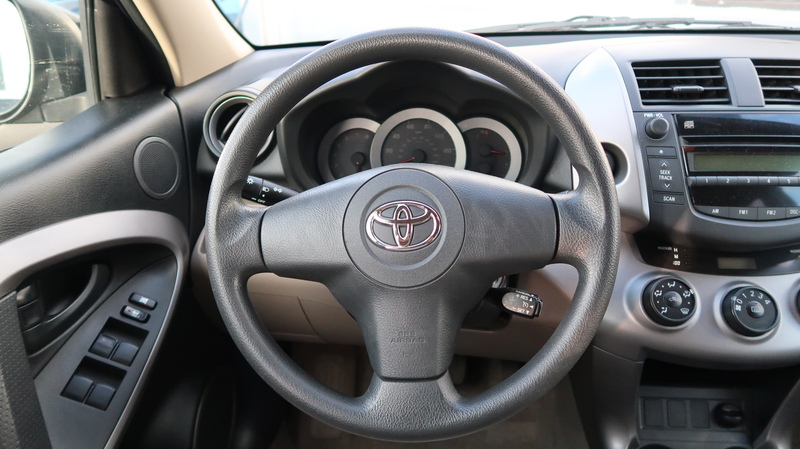 With that in mind, Toyota’s designers looked past their bulky truck frames and gas-guzzling engines and came up with a car-based SUV that merged trucklike utility with carlike maneuverability. 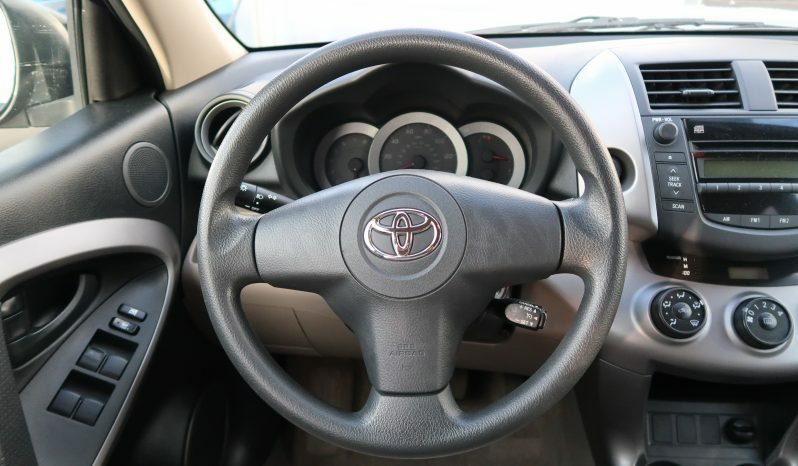 Introduced in 1996, the Toyota RAV4 (Recreational Active Vehicle — four-wheel drive) combined sporty good looks, a convenient size and an economical engine into an attractive and affordable package. It was an instant hit, and as the first example of a car-based sport-utility, the RAV4 enjoyed phenomenal sales that brought with them an onslaught of new competitors hoping to cash in on the newfound niche. Vehicles like the CR-V and Grand Vitara soon hit the market sporting bigger engines and more refined interiors, promptly shuffling the aging RAV4 toward the bottom of the category it had single-handedly created. 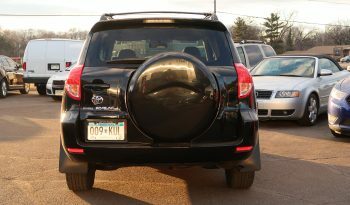 This led to the second-generation Toyota RAV4, introduced for 2001, which bolstered the RAV back into the top of its class. 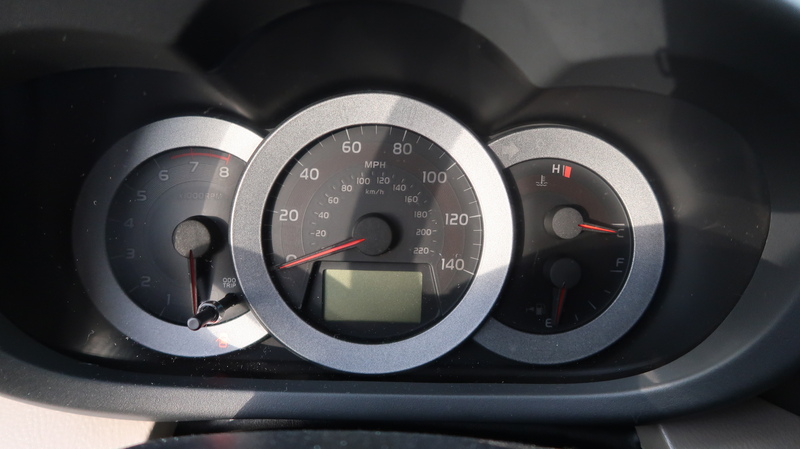 But time marches on, and the competition has continued to improve. 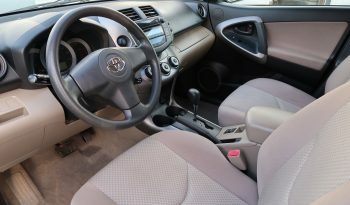 The 2006 RAV4 marks the third generation of Toyota’s compact SUV. Only now it’s not so little anymore, as nearly all dimensions have grown. The styling is less busy than before and the RAV4 has a more serious, chiseled look. There is a certain premium feel of the new cabin with fewer hard plastics. 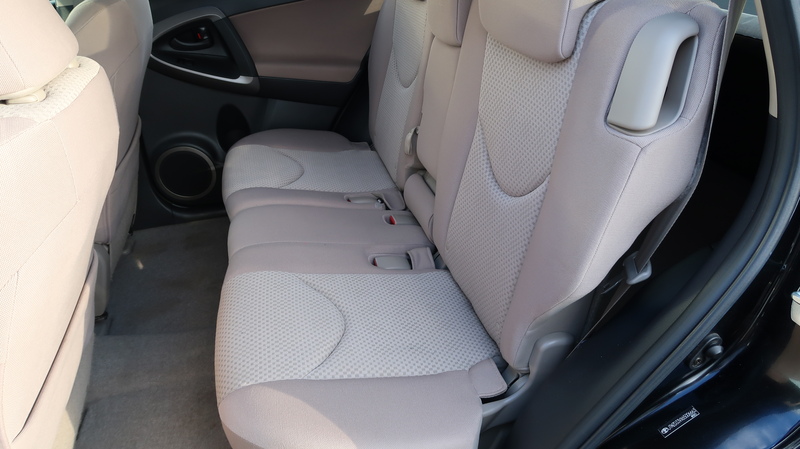 The rear seats are not only split and able to recline, they also slide back and forth 6.5 inches to allow either passenger space or cargo capacity to be optimized. A third-row seat is optional. 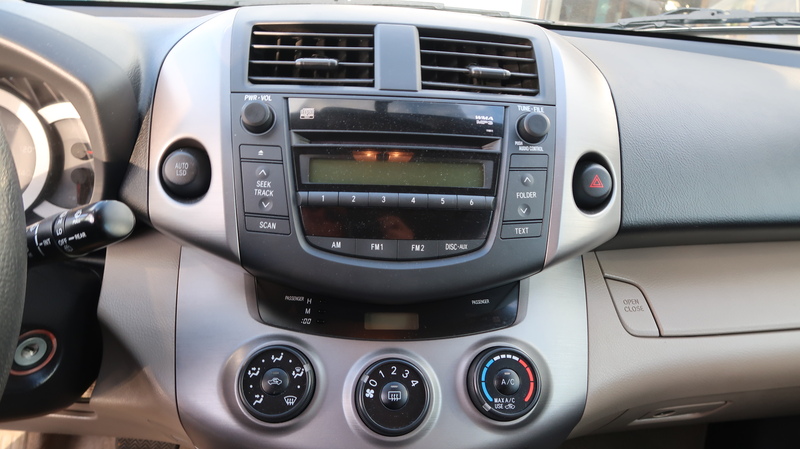 Big changes lie under the hood, as well. In addition to a standard four-cylinder engine, a 269-horsepower V6 is optional. 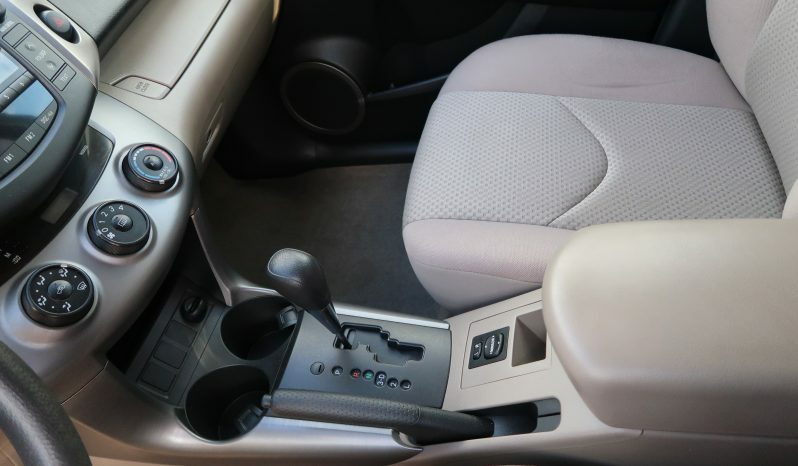 A redesigned suspension system delivers a fine balance between comfort and control. 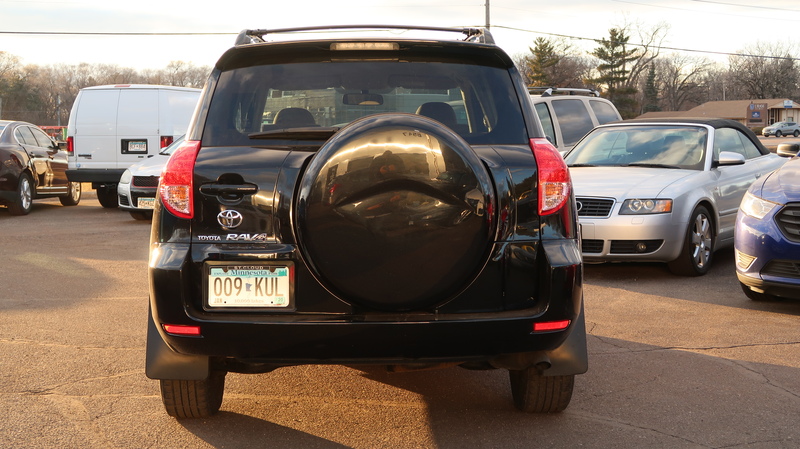 In sum, the 2006 Toyota RAV4 has finally stepped up from being a “cute ‘ute” to a fully functional crossover SUV. 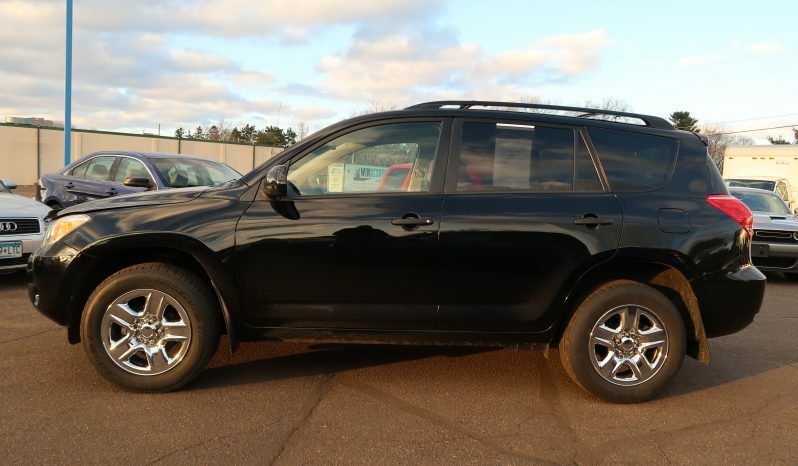 The four-door Toyota RAV4 is a midsize crossover SUV offered in three trim levels: base, Sport and Limited. 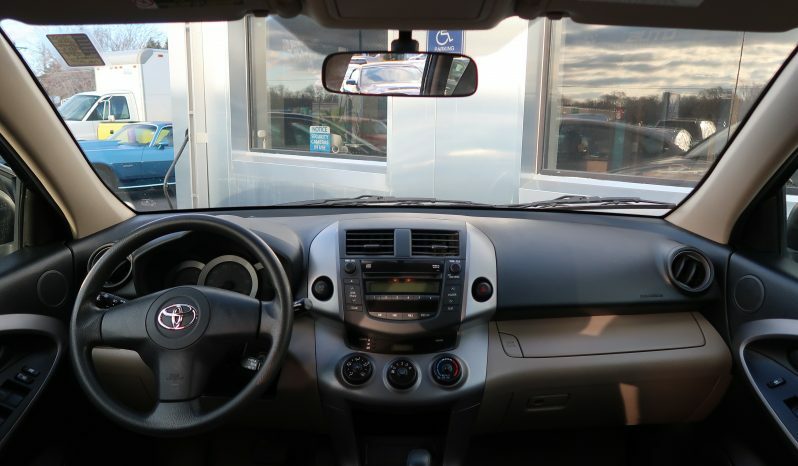 Standard features for the base trim include 16-inch wheels, air conditioning, cruise control, a height-adjustable driver seat, a tilt-and-telescope steering wheel, a CD stereo with MP3 capability and power windows, mirrors and locks. Above this, the RAV4 Sport has 18-inch alloy wheels and wider tires, a sport-tuned suspension, color-keyed overfenders, and a roof rack. 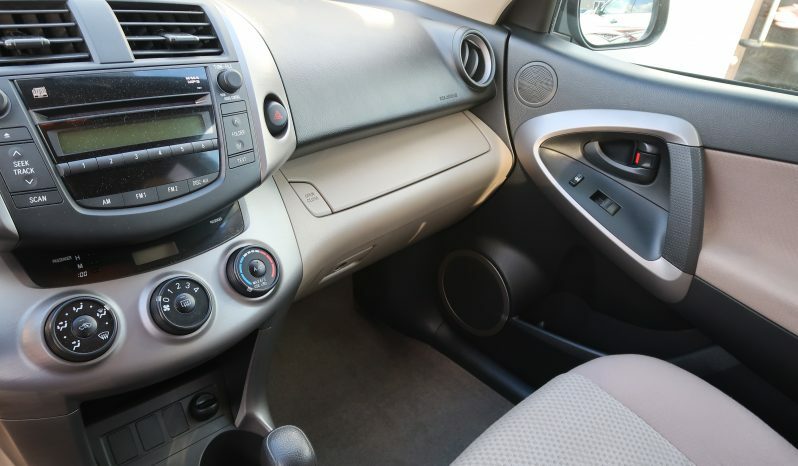 The top-line Limited includes 17-inch alloy wheels, a roof rack dual-zone automatic climate control, a power driver seat and upgraded audio with a six-disc CD changer. 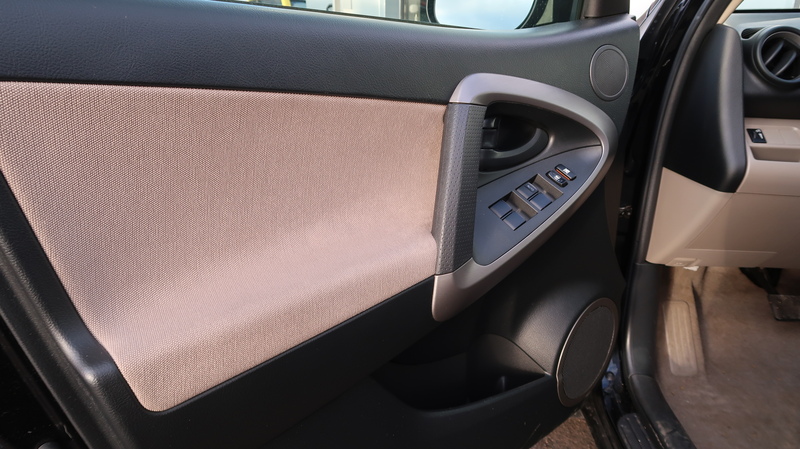 Many of these features are available as options on the base trim. Other options include a third-row seat, a moonroof (Sport and Limited only) and, for the Limited, leather seating and a DVD-based rear entertainment system. 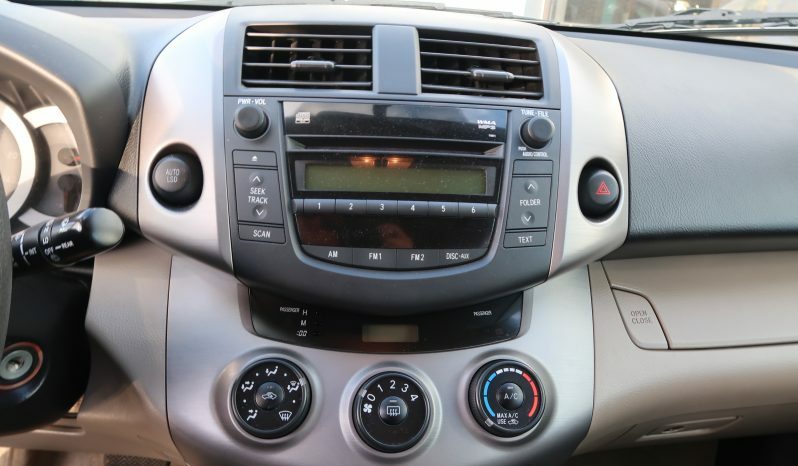 The RAV4 has been fully redesigned for 2006, boasting a larger overall size and available V6 power. Both front-wheel-drive and four-wheel-drive (4WD) versions of the RAV4 are available. 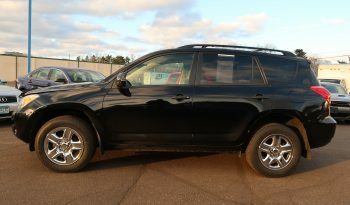 The 4WD system automatically sends torque to the rear wheels when a loss of traction is detected. Standard power is provided by a 2.4-liter, four-cylinder engine that delivers 166 horsepower and 165 pound-feet of torque. A 3.5-liter V6, which boasts 269 hp and 246 lb-ft of torque, is optional. Automatic transmissions are standard — the four-cylinder gets paired with a four-speed automatic, while the V6 gets a five-speed unit. 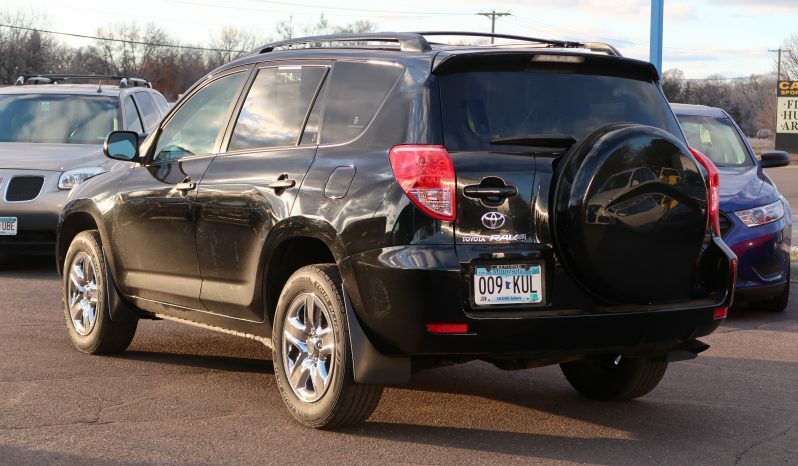 When equipped with the optional towing package, the V6 RAV4 can tug 3,500 pounds. 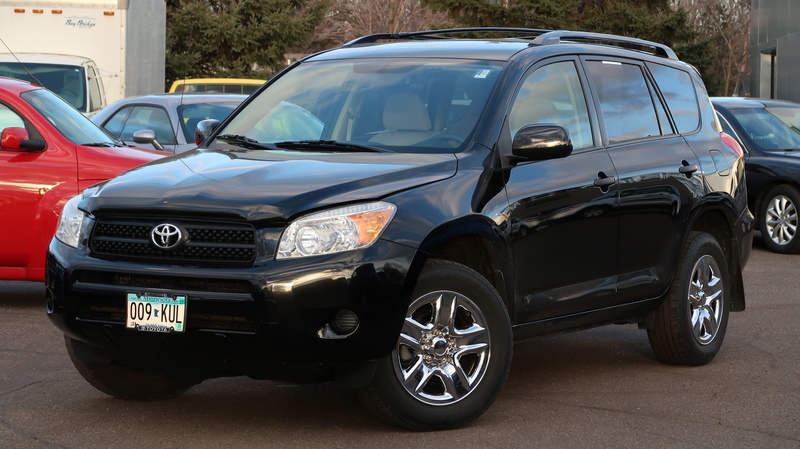 Four-wheel antilock disc brakes are standard, as is Toyota’s VSC stability control system and traction control. RAV4s with 4WD or the optional third-row seat are equipped with Hill-start Assist Control and Downhill Assist Control. Side airbags for front occupants and full-length side curtain airbags are optional. The redesigned Toyota RAV4 has not yet been crash tested. Intended for a life on pavement, the 2006 Toyota RAV4 really shines in this environment. 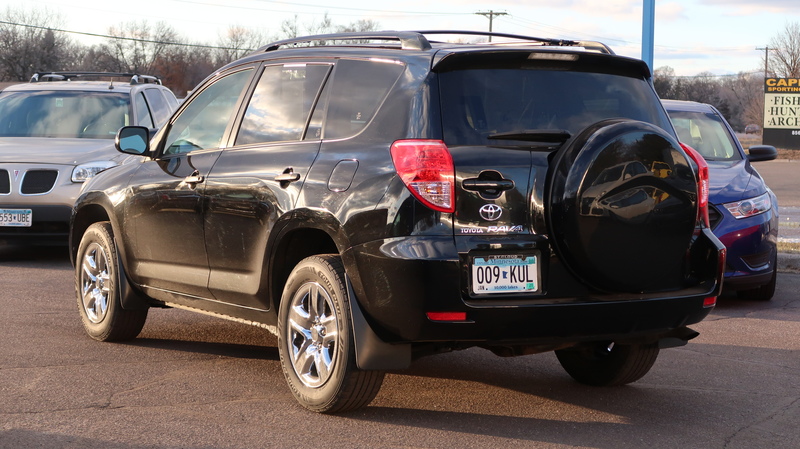 Its taut suspension and quick steering make daily commutes or errands much more enjoyable than what would otherwise be the case in a traditional SUV, and the RAV4’s ride quality is still pretty comfy when driven over broken pavement. Most drivers will be perfectly satisfied with the standard 2.4-liter, four-cylinder engine as it provides adequate power for day-to-day driving. 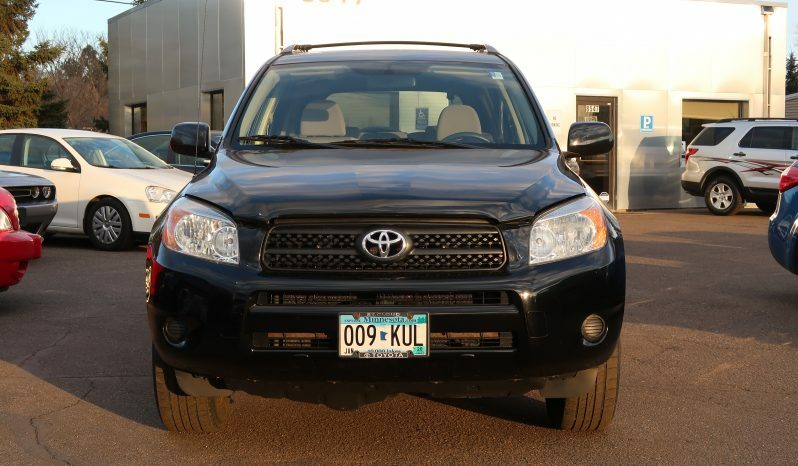 The optional 269-hp V6, meanwhile, is full of swagger. 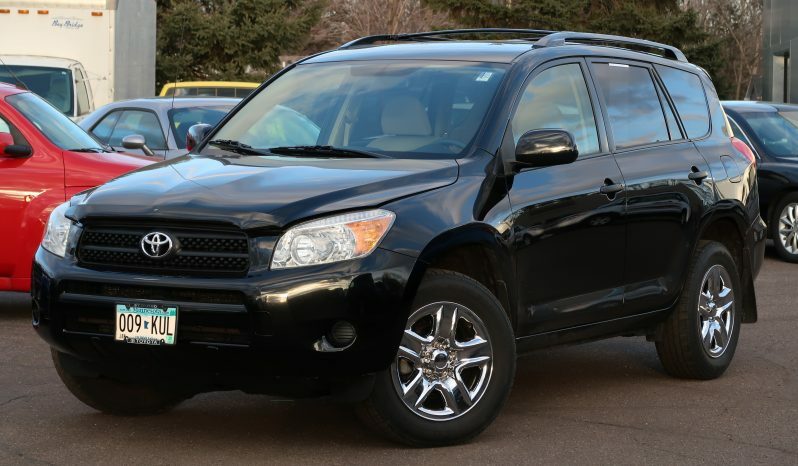 So equipped, the RAV4 can embarrass quite a few modern sport coupes in terms of acceleration. 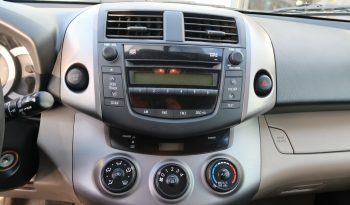 As usual, all controls are simple and straightforward to use. The overall feel is upscale, with less hard plastic than previous RAVs, electroluminescent gauges like a Lexus’ and an illuminated cupholder. 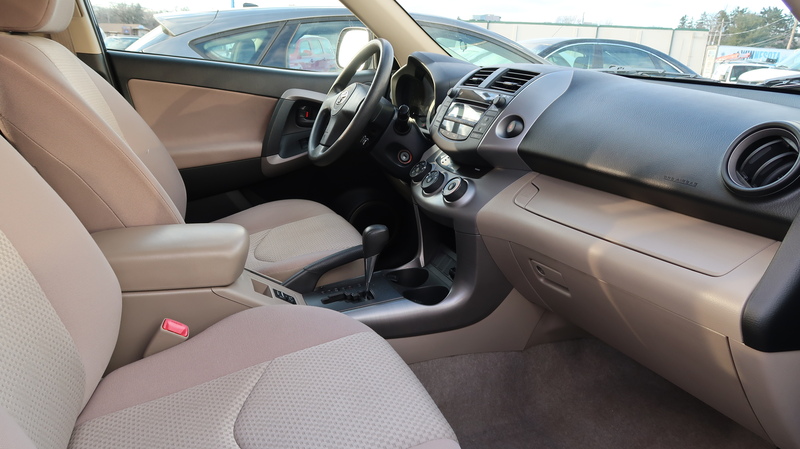 The rear seats recline, and can slide forward or rearward 6.5 inches to allow either passenger space or cargo capacity to be optimized. 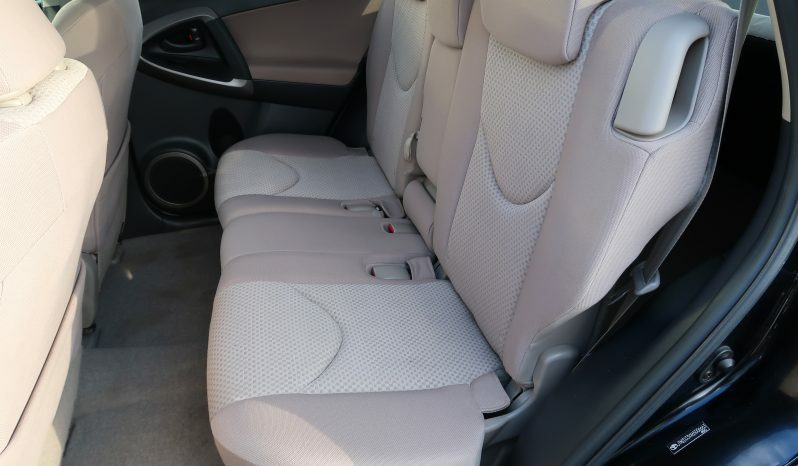 Normal seating capacity is five; the optional third-row seat bumps it to seven, though this seat is truly meant only for children. To configure the RAV4 for cargo, all one has to do is flip a lever to instantly get a flat load floor. 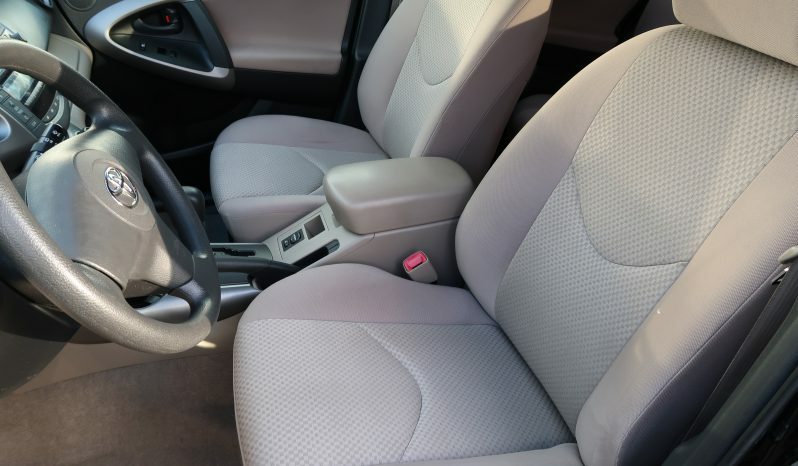 No removing headrests or flipping up seat cushions for the second-row seating is required. 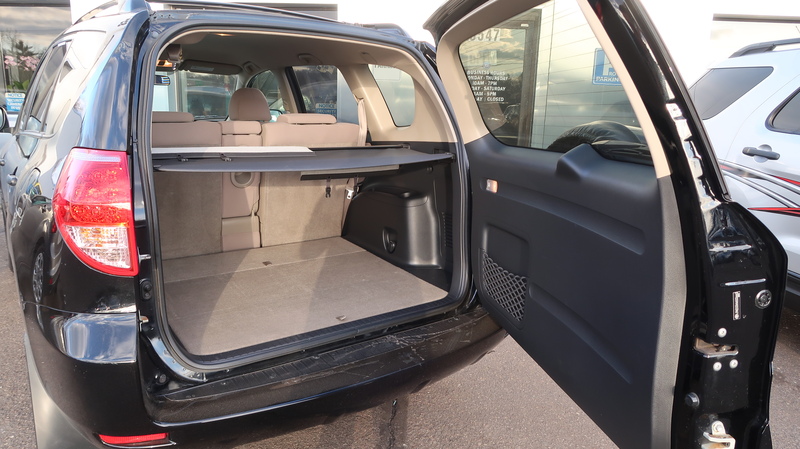 With its flat load floor, the RAV4 can hold a maximum of 73 cubic feet of cargo.